With advancements in health, people are living longer than ever before, with many living active, robust lives, well into their senior years. The trouble is that as we get older our bodies change, we begin to move slower, our sight deteriorates and we begin to lose some of the core strength needed to maintain balance - even though the mind might think otherwise! A combination of these weaknesses can lead to accidents such as falls, which can cause injury. Many of us have elderly relatives and I'm sure would agree that safety for the elderly is important but fortunately there are plenty of things that can be done to ensure a healthy and active lifestyle is maintained for as long as is practical. Continue to enjoy the independence of living in at home. Start by walking around the home and look for potential areas which could become a hazard. Pay attention to things such as stairs, loose electrical cords, slippery areas and dimly lit areas. • Install handrails which run the entire length of the stairs on both sides of the staircase. This should give optimum amount of support when going up and down the stairs. The other option is to get a stair lift, however this an expensive option. • Add automated lighting to light up rooms when entered. This prevents any hazards that can happen in the dark. • Install grab bars in the bathroom. Particularly near the toilet and bath/shower. The bars will give extra support to get up. • Keep stairs and walk ways clear. Trip hazards are a big problem for everyone, but can affect an elderly person more as it is more difficult for an elderly person to get back up. • Get any chipped or broken flooring fixed. Much like the last point, this could cause a serious trip hazard. 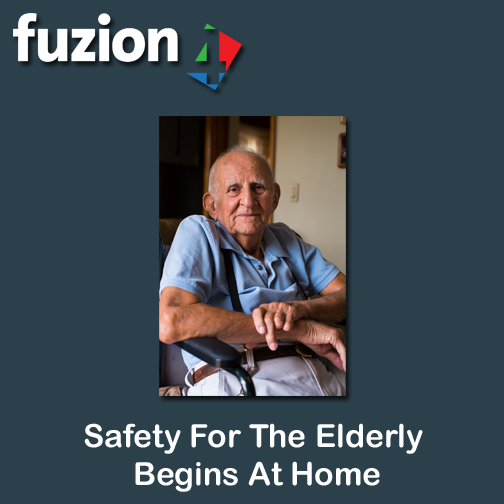 The Government is proactively pushing independent living and this is unlikely to change in the near future, so anything we can do to help safeguard the health and safety of our elderly could save a lot of suffering as well as stress from worrying about the injury they sustained. We have a system that can help, which can provide alerts direct to your mobile - to find out more about how it works click here. This will likely make certain that any venture you possess will be carried out with precision along with the right blending methods. You will discover port st lucie epoxy flooring an expertise and scientific research to definite building and never every professional provides the skills or education to provide you with knowledge that produces resilient construction tasks.